"The interactive portion was fabulous! 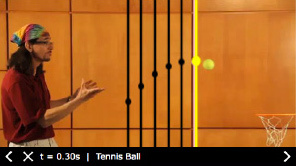 I liked the lines over the position of the ball over time when you click on it. It made a great visual. It will stick with me!" 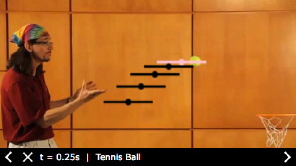 "I think interactivity is a good idea when trying to teach any kind of analytical problem. Inquiry-based learning should be used more often!"